You must be a member of the Bangkok Culture Group to attend this activity. Would you like to join this group? 100 years ago, a radical artistic utopia was born: Bauhaus, one of this century's most influential architectural schools, which still sets the pattern for the way we live today. In this documentary, young architects, school teachers, designers, sociologists reflect on their Bauhaus experience. 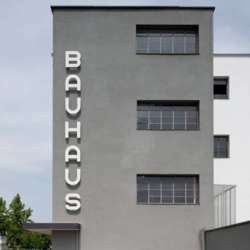 The Bauhaus style became one of the most influential currents in modern design with a profound influence upon subsequent developments in art, architecture, graphic design, interior design, industrial design, and typography.